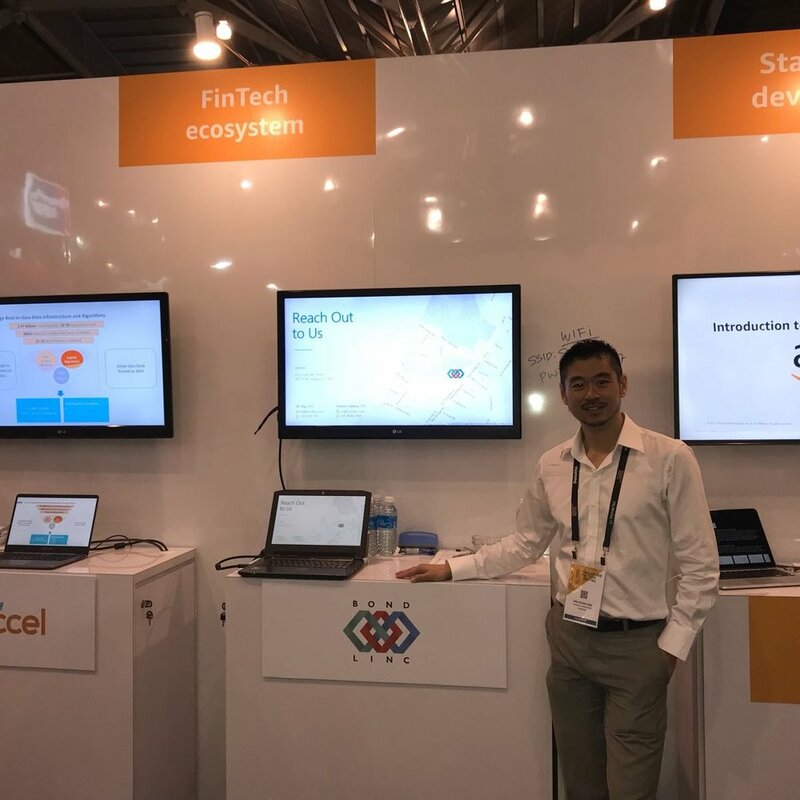 Bondlinc at the Singapore FinTech Festival 2017! Bondlinc kicked off the largest FinTech festival of the year, by participating in the Xperts talks during the Lab Crawl at UOB’s FinLab. Organized by the Monetary Authority of Singapore (MAS) and in partnership with Association of Banks in Singapore (ABS), this week-long event included many exciting opportunities to share our company’s vision and mission. 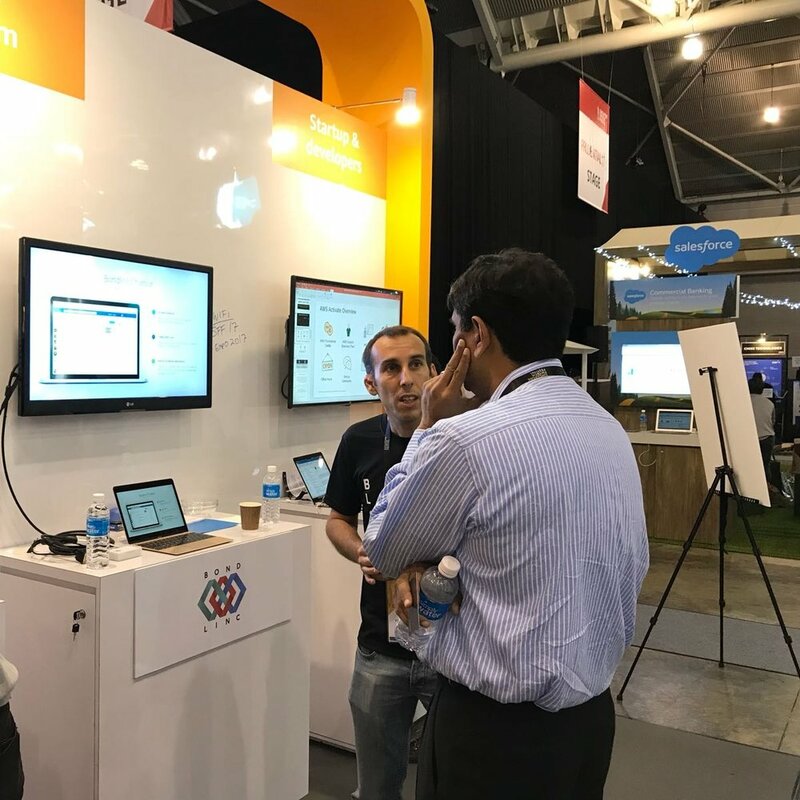 Held at Singapore Expo, the next three days of SFF2017 gave us many opportunities to meet potential clients, investors, and partners as well as other FinTech startups. UOB’s FinLab hosted us at their cosy Hospitality Lounge to share our products to a great audience. 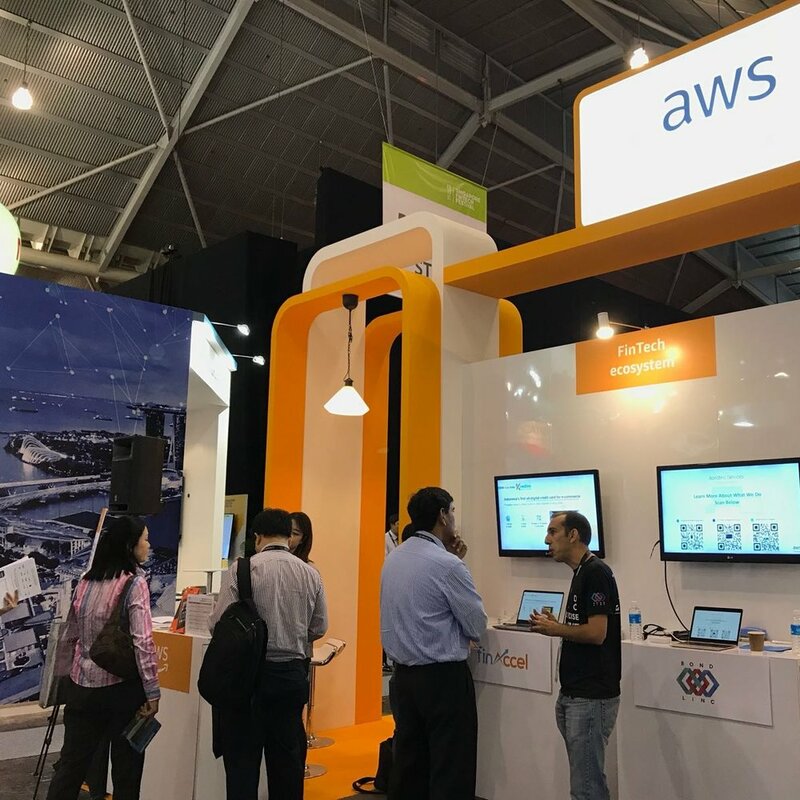 Also, our specially featured FinTech Ecosystem booth at Amazon Web Services allowed us to demo the upcoming Bond Butler and spend a full day capitalizing on the good flow of traffic passing by AWS. We'll definitely be back for more FinTech festivals! Many thanks to all who were involved in making SFF2017 a great experience!